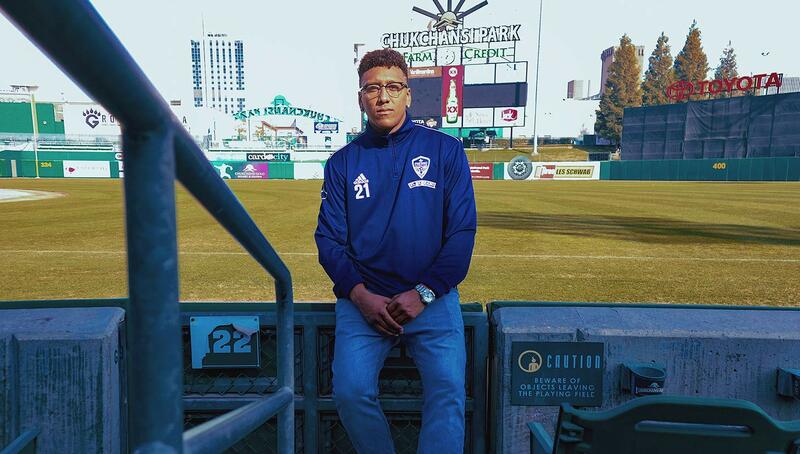 After playing internationally in both Mexico and Armenia, Fresno native Christian Chaney is back at home with Fresno FC and loving every minute of it. We spoke to the 24-year-old forward about his career travels and how his willingness to take chances has brought him to where he is today. In the bizarre game that is life, “making it” will often entail betting on yourself. 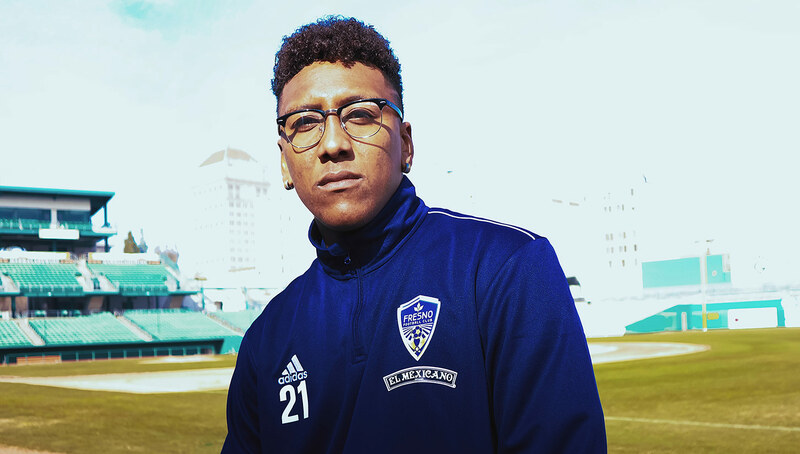 For Fresno FC forward Christian Chaney, that has meant circling the globe on a whim in hopes of getting his big break into professional soccer. A solid 2018 season saw his seamless transformation into an everyday player for his hometown club, but his journey to that point had been anything but smooth. 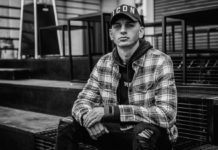 From playing in Mexico against grown men as a teenager to in Armenia where the language barrier was more like an impenetrable fortress, Chaney is now more comfortable than ever playing in front of his home crowd. However, you can bet he’s hungry for more. We caught up with the rising talent to discuss his well-traveled pro career, transitioning from center back to forward, and his favorite parts about being back home. 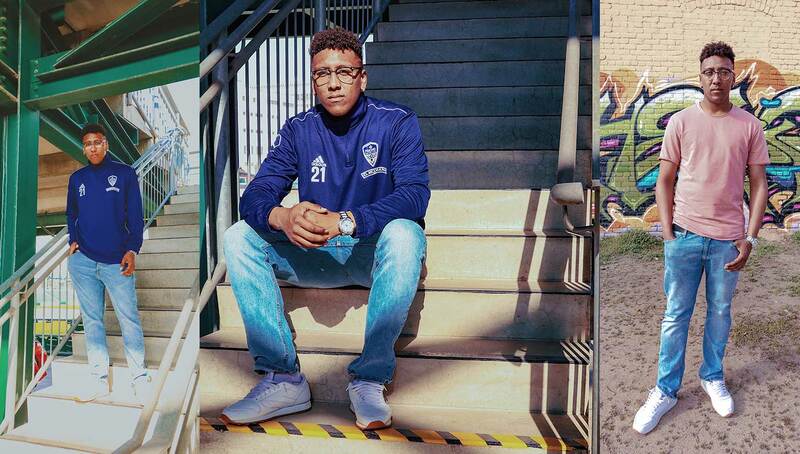 Urban Pitch: At 18 years old, you went to go play in Mexico with and against fully-grown adults. That couldn’t have been an easy decision — what made you go for it, and what was the experience like? 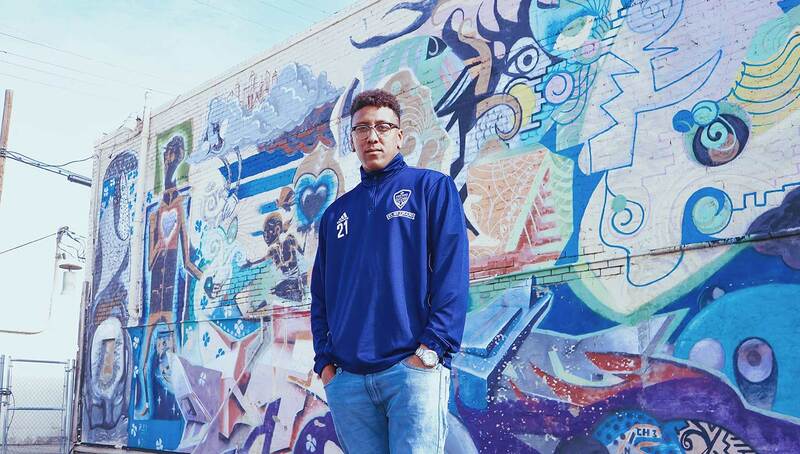 Christian Chaney: I was having a problem with getting my units to graduate, and then they told me at the end of the year I wasn’t going to be able to graduate high school unless I quit soccer. I told them there’s no chance I’m going to quit, so I left to Mexico to go try and get my feet wet over there and play as an amateur. I went with the mindset that I was going to improve my skills, get better training, and see what it’s like to play somewhere else where it’s a little more challenging. When I was there they had a first-division and a second-division team, and I played with both because of my age. It was unbelievable. The second-division team was honestly a lot higher caliber of players compared to high school soccer. The more I got minutes there the better it was. The difference in level of play is crazy. It’s a lot more technical, and you have to be stronger. Because you have grown men whose jobs you’re trying to take. It helped me so much though, going to Mexico, I’d say it was the best thing for me in my life. It made me advance a lot more quickly in my career and in my abilities. What was it like transitioning back to the U.S. after you returned? I came back from Mexico right in time for me to get my classes and start on my season with Fresno City College. I started every game as a freshman center back and took a pretty big leadership role. Coming from Mexico I had gotten better, so I started playing right away and doing really well. As a center back I started scoring goals, and that’s when I kept telling my coaches after that to put me up top. So in Mexico and up to this point they’re playing you at center back? No, so that’s the thing. In Mexico I was playing center back, and I was sort of telling them that I could score goals. We’d do these little games in training, and everyone gets the chance to score goals because the games are so small. I just kept scoring goals, and so they put me up top in real games and I started scoring even more goals. I came back to the U.S. and they didn’t know me as a forward, so then they put me back as a defender. All that work to go play forward and then my coach told me I couldn’t anymore. So I took the bullet and I played at center back my first year at City in 2013, where I was an All-American. The following summer, in 2014, I started playing for the Fresno Fuego of the PDL. I had my coach put me as center-mid, and I still got a couple goals and a few assists. It wasn’t until after my last year at Fresno City in 2015 that I started playing forward again. Your coach’s decision to move you to forward full-time was key to your breakout season with Fuego. How were you able to convince him you were able to play up top? It was just one coach who took a chance on me, and I guess I kind of ran with it. I went up top and I got my opportunity against this team from Armenia called FC Ararat. They’re a huge Armenian team from the capital city of Yerevan. They came down and I didn’t even score a goal that game, but I was playing pretty well as a forward. And the very next day they called me and said they wanted me to come play for them in Armenia. So I was like, you know what, no more of this nonsense of me playing defense anymore, I’m over it. From Fresno to Armenia — that’s quite a jump. What made you take that chance to go overseas? Well Fuego was in the PDL, so you’re not getting paid to play there, it’s a semi-pro team. You’re playing to get a break, you’re playing to try to get out of there. The way they ran the club was good, but I didn’t feel like I had that level of being called a professional yet. I’m the kind of guy who likes to take his chances as they come. I don’t like to let opportunities pass me by. Hence the reason why I even left to go to Mexico in the first place, off of just a chance. A half-chance at that. So I don’t know what I’d be able to do if I didn’t take that opportunity and see what came of it. I was only there for like four months, and I can’t say I had the best time there, or that I developed a lot or even excelled, but I took the opportunity and got the experience out of it. I learned a lot about myself, being in a country where there’s no people that speak English and having to deal with playing on ice. It was so freezing up there, a whole new environment. I wanted to learn a little bit about myself, and I did, so I came back and started playing with Fuego again. I took the opportunity and that’s when I had my breakout season with them, leading me to getting picked up by Sacramento Republic. When you first heard Fresno was getting a USL team, what was your reaction? What were you thinking at the time? Honestly I didn’t believe it. I said no way. I said there’s no chance Fresno’s playing in the same league that I’m in right now. I was dumbstruck. I didn’t know what to believe because I hadn’t heard anything. Nobody told me they were even thinking about bringing a team to Fresno, nobody said we even had a chance. After the two years in Sacramento I didn’t really do much there, and I was looking for a change. It felt almost too good to be true. 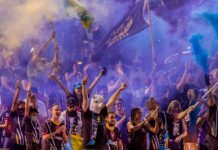 Every day I checked the USL website, and tried to call people to find out if they were going to get a team this year or two years from now. Sure enough, it happened. From the very beginning, all my intentions were to come home to Fresno to play for our first year here. What’s the coolest part about playing for your hometown team? Walking out on the field and seeing everybody I know. Seeing all the fans, all the kids that I trained with, that I grew up playing with, my mother, my grandmother, my brothers, my nephews. Being home is always the best thing. Feeling the love from the fans — every time you hit the back of the net, everybody’s screaming because they know you. It’s a different feeling when you’re playing for your city, when you’re playing somewhere where you know the community, where you fought for the community. I put my heart and soul onto the damn field every time I play at home. And I think the people can tell. I love Fresno. I love my people. So I think that’s the best feeling, just being out there and giving my community something to cheer about and put their emotions into. I feel like that’s probably the best feeling for me. I’m a Real Madrid fan, so I’m always going to say Madrid. I’m really into R&B. I grew up with a single mom and she used to listen to nothing but R&B. K-Ci & JoJo, The Kinks, Avant, John Legend, I could go all day. Marvel or DC Universe and why? Who’s your favorite superhero? I love Marvel, but I love the Flash. I’ve always wanted super speed as a kid. I like the storylines behind Marvel more though. DC is cool with the villains also being good in their own way, but I just love Marvel. Superman, Captain Marvel, Black Panther, Ironman. I love how it’s all joined together in one as well. I can’t really say I watched too much DC besides Batman, but I’ve grown up watching Marvel. Photography by Vanessa Valenzuela for Urban Pitch. 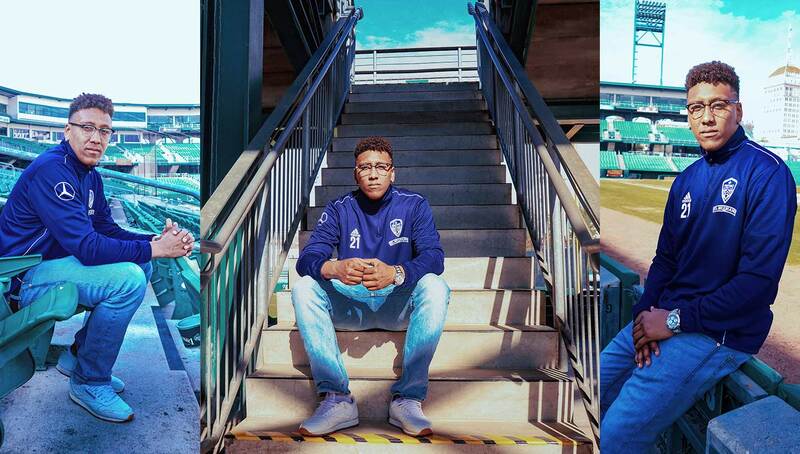 Be sure to follow Christian’s journey through pro soccer by following him on Instagram and Twitter.